Perkin Elmer Series 200 Fluorescence Detector for HPLC Chromatography . New Life Scientific, Inc. The detector has been the chosen method of separation and quantitation of polar and nonvolatile compounds. It is Time Programmable up to 100 wavelength steps per method. Our technician confirms that this detector is functional. Passes Power-On, Self-tests and confidence test yielded an EX Energy = “40”, EX Accuracy = “Not Detected” and EM Accuracy = “CALIB.PEAK”. 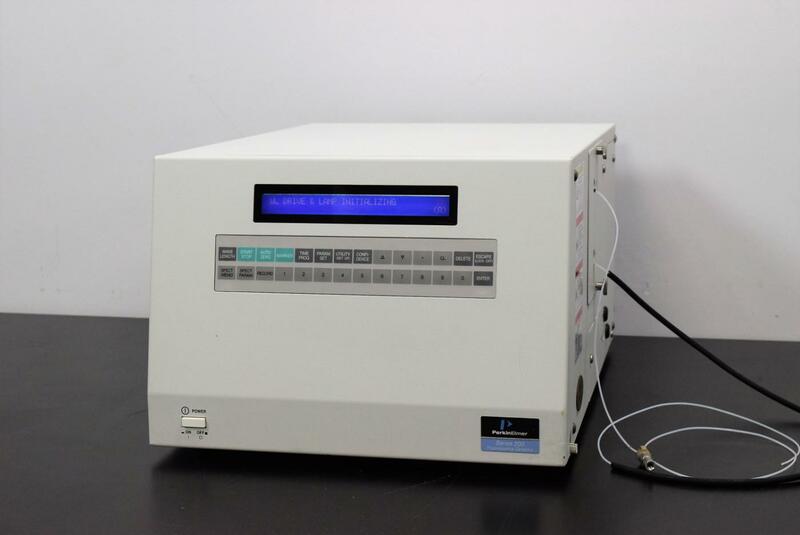 Includes a 12uL Flow Cell Unit. We realize that buying a second-hand instrument can be unnerving, therefore we offer a 90-Day Warranty to protect you against any equipment failure or defects. This unit is in good cosmetic condition with minor wear.